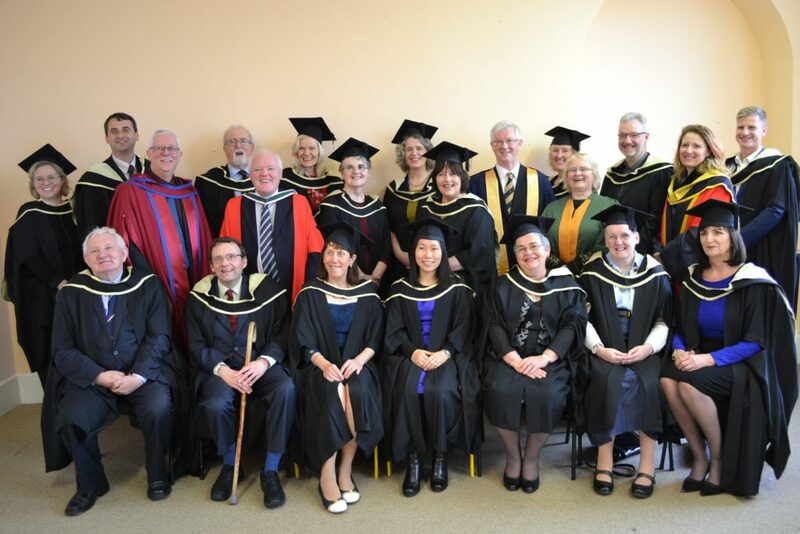 For the first time ever in Ireland an Institute of Technology (WIT), supported by SpIRE, conferred MAs in Applied Spirituality on 20 graduates. It also conferred a PhD in spirituality on a graduate of the MA in Applied Spirituality when it was presented in its previous form at All Hallows College as a DCU award. SpIRE hosts and supports the MA in Dublin and the PhD graduate is a member of the SpIRE Advisory Board. The photo shows 17 of the MA graduates, as well as Noel Keating, who graduated with the PhD. Included, also, are Prof. Michael Howlett, Noel’s supervisor and a member of the SpIRE Advisory Board, Dr. Michael O’Sullivan, Director of SpIRE and Programme Leader of the MA, Prof. Bernadette Flanagan, Chair of SpIRE and a member of the MA Leadership Team, and Dr. Noelia Molina, a member of the SpIRE Advisory Board and of the MA faculty team.